In his list of concerns, Jack Sprat maintains that more than 1,200 dams across America are in need of repair. Research shows that Mr. Sprat is correct. There are an estimated 80,000 dams in existence with more than 2,000 of them near population centers in need of repair according to the Association of State Dam Safety. The problem is intensifying with each passing year. The number of dams determined to be unsafe rose from 3,500 in 2005 to 4,095 by 2007. The number has obviously gone even higher since 2007. While some of the most critical dams have been marked for repair, the problem is part of a nation-wide disintegration of a total infrastructure that is being all but ignored by the Republican-led Washington legislators who are hell-bent to block efforts by President Barack Obama to direct federal dollars for infrastructure repair. Larry Roth, deputy executive director of the American Society of Civil Engineers said the nation's aging and cracking dams is a problem that is growing more serious with each passing year. Not only this, but Roth warned that because of a lack of money to pay for qualified safety inspections, "the policing of maintenance and filing of inspection records is relatively haphazard." Some estimate that it will take about $16 billion over 12 years to repair the "high-hazard" dams. The total estimated cost of rehabilitating all of the endangered dams tops $51 billion. That kind of money calls for federal financial help, but not all dams in the United States are the work of the federal government. Some dams are state owned and maintained, and some may have even been constructed by private property owners and organizations for agricultural or hydro-electric generating purposes. Meeting the cost of maintaining these dams can be overwhelming during current hard economic times. To make the problem even more complex, in some cases the business that built some of the 75 to 90-year-old dams are long gone. And without an owner of record, how can it be determined who should pay for the needed repairs? State governments, which are losing federal assistance and consequently being forced to take on the additional financial cost of running schools, paying for road maintenance and schools, are unable to pay for rebuilding dams on their own. They can't afford to get rid of them either. As the nation's population has grown, more and more homes and entire towns have been constructed in the shadow of some of the larger dams. This means that more and more people are living in risky areas. 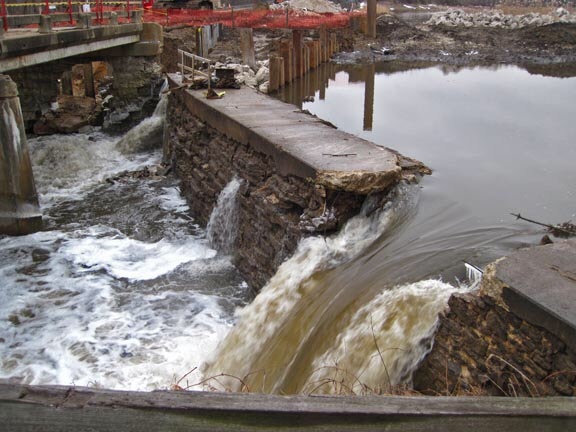 When dams fail, it often means unexpected disaster for everyone in the path of the rushing cascade of water that results. The Obama federal stimulus program, which was slashed by the Republican controlled House and Senate, did not direct money for extensive dam maintenance. The Recovery Act thus is doing almost nothing to ease this threat of looming disasters waiting to happen. As climate change bring more flooded rivers and cause overflowing reservoirs, the pressure on the old dams is growing. There has also been the new threat of earthquakes occurring in new and unexpected places. Mr. Sprat is correct when he regards America's crumbling dams a national concern.